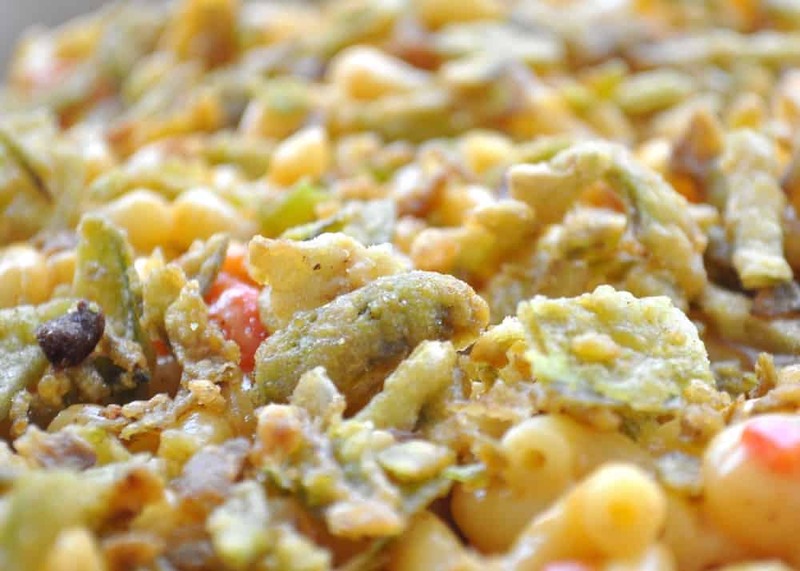 If you like Jalapeño Poppers, Sriracha, Chipotle and all things spicy then this Spicy Jalapeño Macaroni and Cheese is the perfect recipe for you. 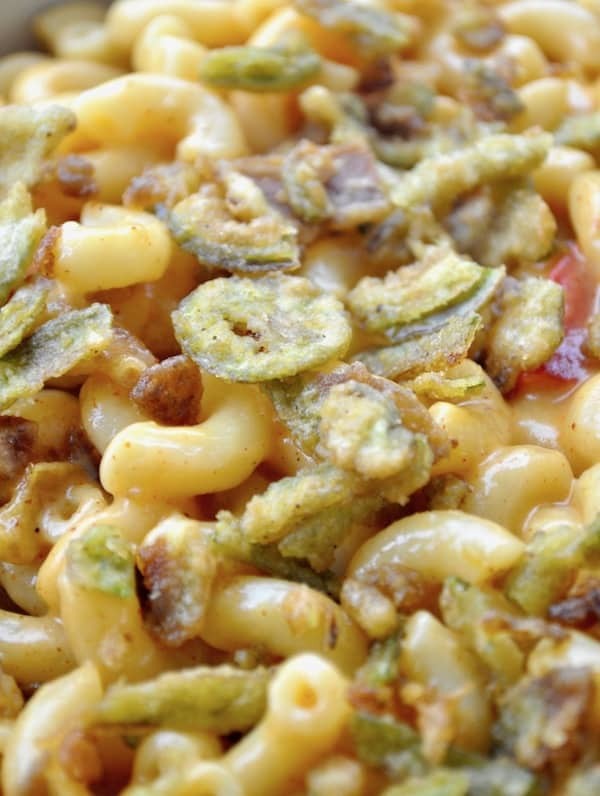 It’s got heat, smoke, spice, cheesy pasta and crispy fried jalapeños. I made this for my husband’s office potluck, and it was a huge spicy hit. This recipe comes with an excellent basic mac and cheese recipe that you can use anytime you don’t want a spicy mac and cheese. And if you LOVE your own mac and cheese recipe then, by all means, use it, I share the way to do that below. 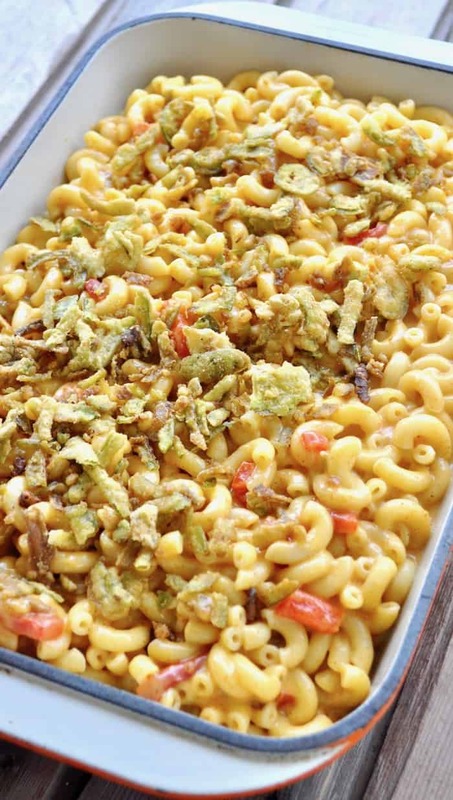 This spicy mac and cheese is the dish I whipped up for the last potluck, and it was certainly a different dish to send in. 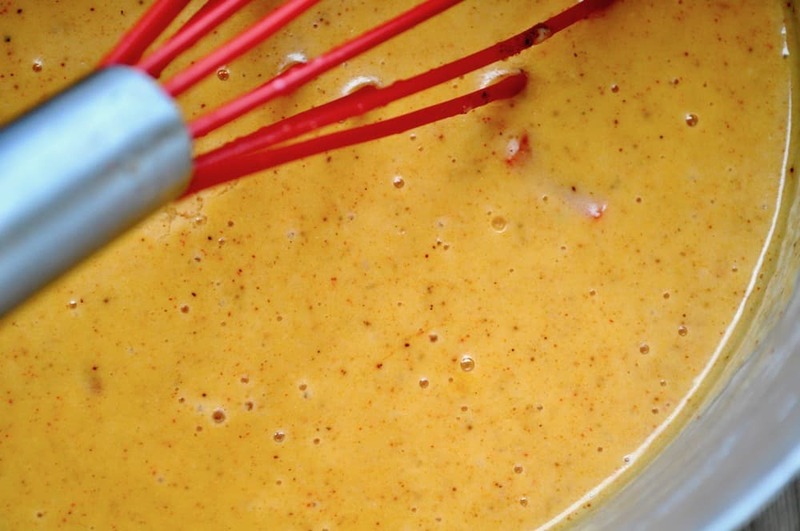 Usually, potluck dishes are bland, people seem afraid to get spicy. Not me, not anymore! I based this recipe on my Mexican Macaroni and Cheese recipe which I shared a while back. Both of the methods rely on simple additions to my favorite plain old macaroni and cheese recipe. This version leans heavily on a spice arsenal of chipotle chili powder, ancho chili powder, and smoked paprika. Then roasted red peppers and pickled jalapeños are minced and layered in to give it some interest. And finally, you stir in those crispy fried jalapeños, leaving some to sprinkle top, these give the dish some serious texture and a lot of heat. Use YOUR OWN favorite Mac and Cheese Recipe! I bet I know what you’re thinking; I love my OWN Mac and Cheese recipe, right?! Now If you have your own mac and cheese recipe that you can’t live without that’s awesome. Just use everything in the recipe except the pasta and cheese sauce ingredients, and you’ll have a dish you’ll make again and again! A nice variation for those spice loving peeps we all seem to have. 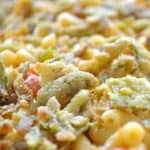 If you like Jalapeño Poppers, Sriracha, Chipotle and all things spicy then this Spicy Jalapeño Macaroni and Cheese is the perfect recipe for you. I love all of those things and this looks insane! Mac and cheese on a whole new level! Oh yeah Patrick this one is over the top!